Don’t be fooled by Hurricane Florence’s weakening category — the powerful storm still poses the same dangers at a Category 2 as it did as a Category 4, the forecasts show. Hurricane categories are determined by the wind speeds within the storm system, but the real threats — the amount of rainfall, flooding and storm surge — will stay the same, regardless of the wind speed, according to forecasts from the National Weather Service. The outer bands of Hurricane Florence are visible as the storm approaches, on Sept. 12, 2018 in Wrightsville Beach, N.C. While the storm system will churn over the same areas for 24 hours, the high winds and rain will begin pummeling parts of North and South Carolina Thursday evening and last through Saturday — creating a 36 to 48-hour period of dangerous weather for some areas. 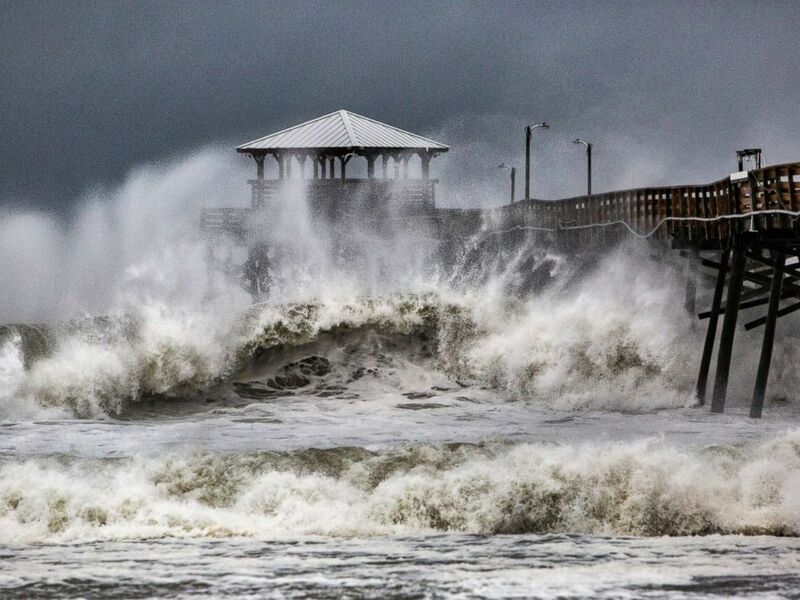 Waves slam the Oceana Pier & Pier House Restaurant in Atlantic Beach, N.C., Sept. 13, 2018 as Hurricane Florence approaches the area. 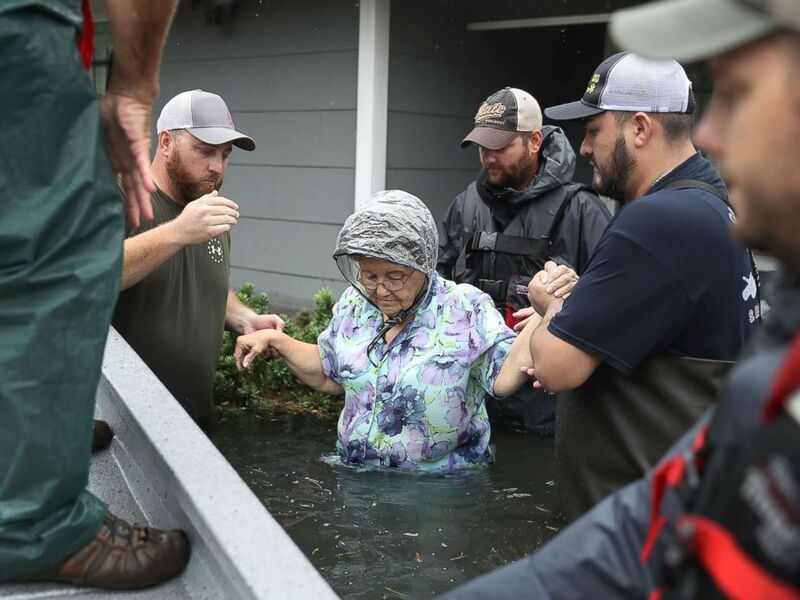 Volunteer rescuer workers help a woman from her home that was inundated with the flooding of Hurricane Harvey on Aug. 30, 2017 in Port Arthur, Texas. Superstorm Sandy — the October 2012 storm that caused more than $68 billion in damage to the the Northeast coast — was another system to not be deceived by its category. 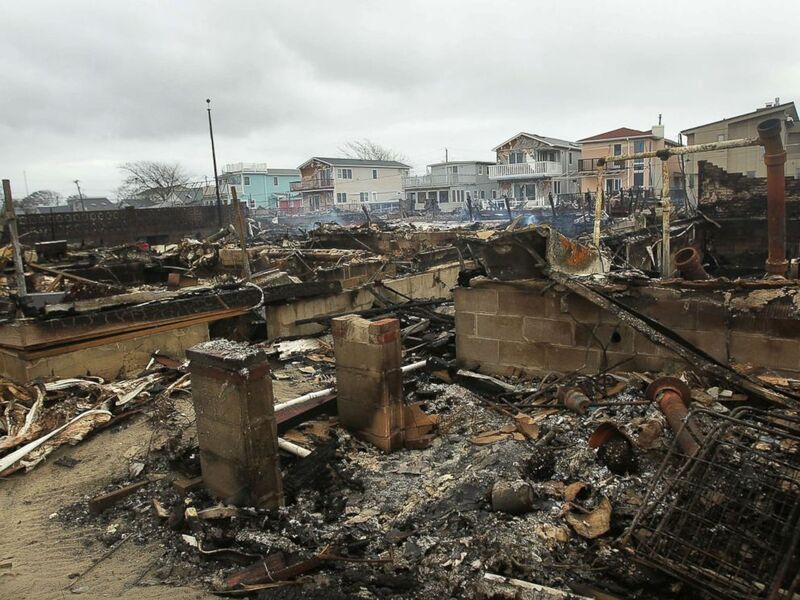 Homes sit smoldering after Hurricane Sandy on Oct. 30, 2012 in the Breezy Point Neighborhood of the Queens borough of New York City. Dan Peck is an ABC News meteorologist.